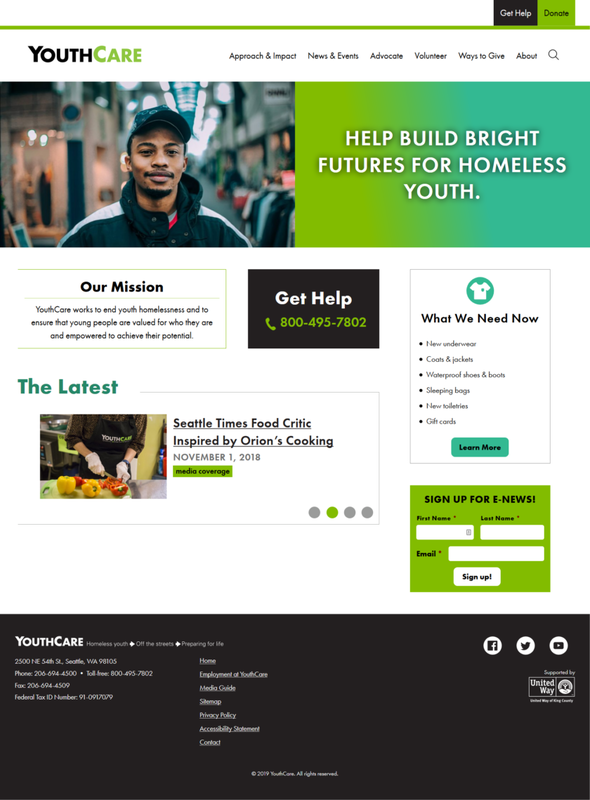 An organization providing comprehensive services to youth who have experienced homelessness got a long overdue upgrade. 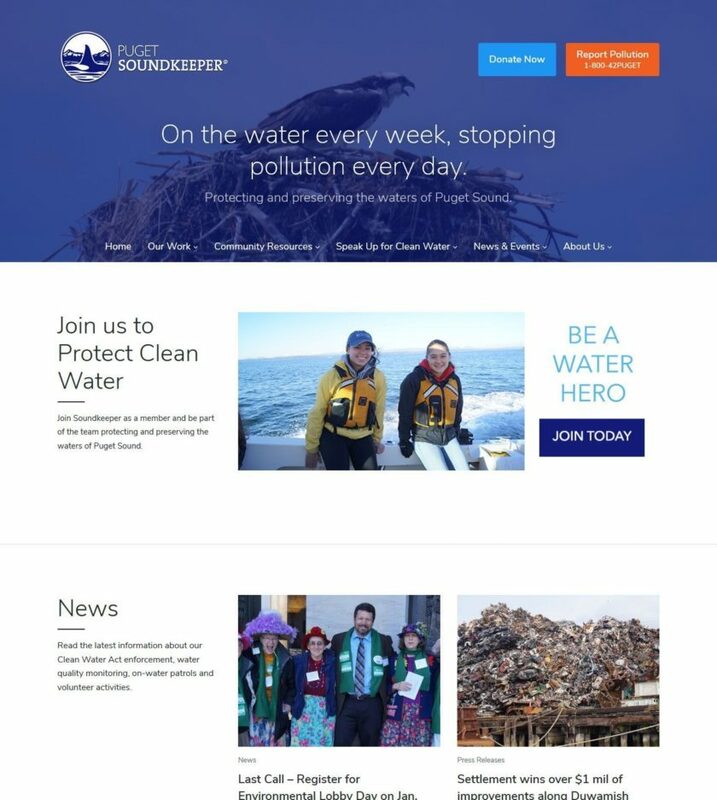 An incremental approach to website improvements has enabled Puget Soundkeeper Alliance to constantly improve their website while they work to keep the Puget Sound clean. 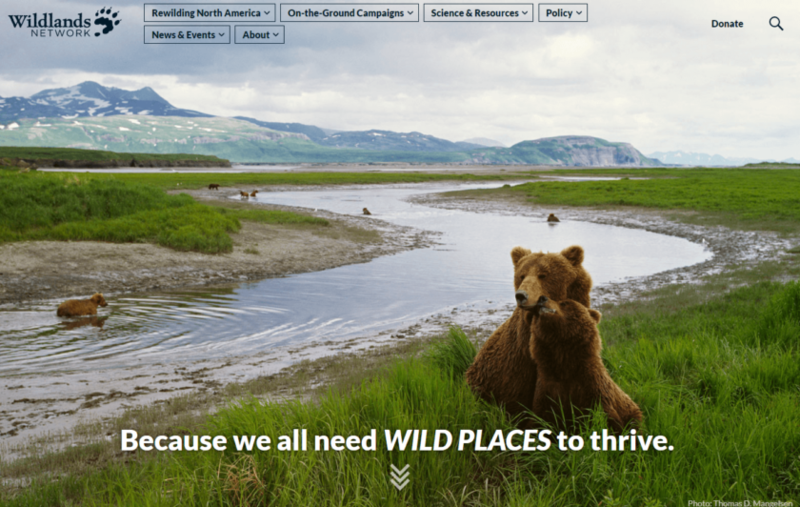 A long-overdue redesign and three merged sites unified and strengthened an environmental movement. 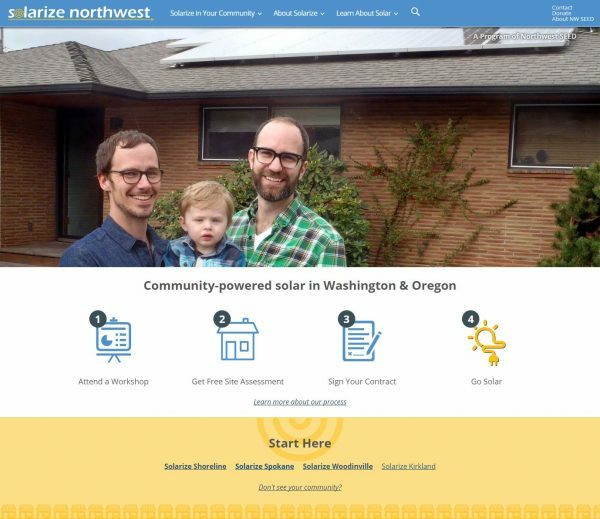 A website to help people sign up for the solar energy campaign in their community ASAP! 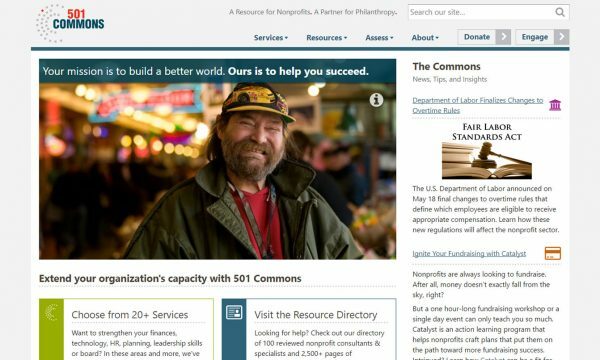 Following a successful redesign in 2013, 501 Commons showed how a little design refresh can go a long way. 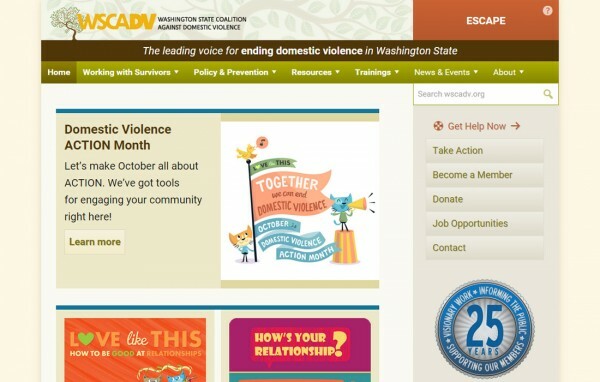 An organization creating important information to fight domestic violence needed a website to help users find it. 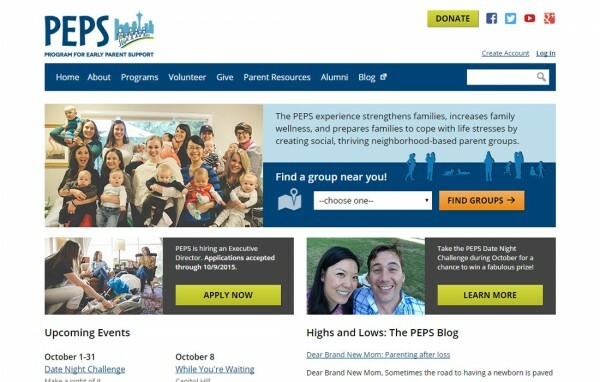 With an audience of young parents, PEPS needed a site that works with a baby in one hand and a phone in the other. 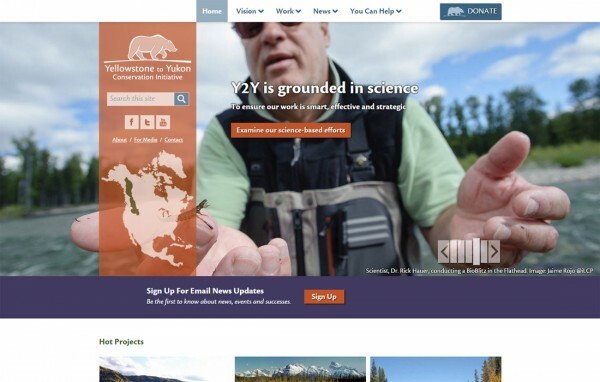 An organization protecting a big area of land needed a bold website to showcase their work. 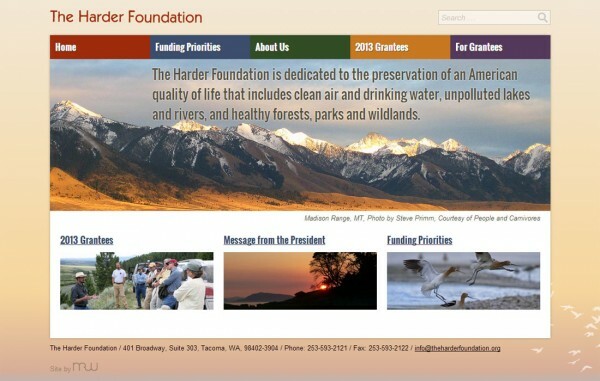 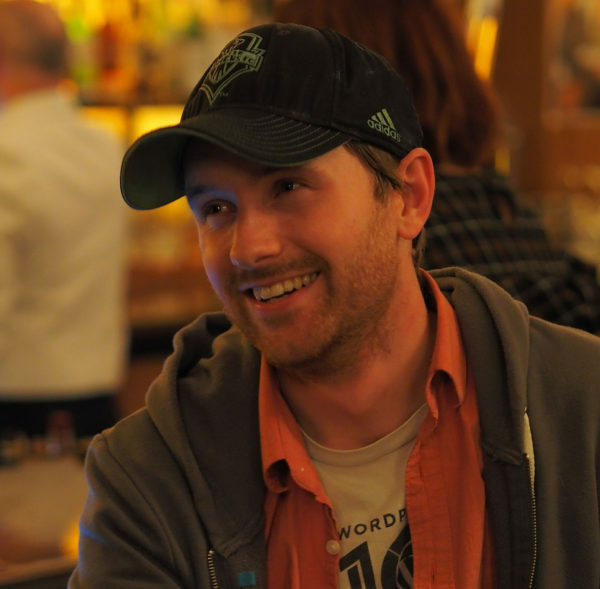 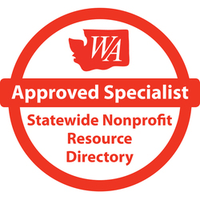 A private foundation serving and showcasing their grantees better with a new site. 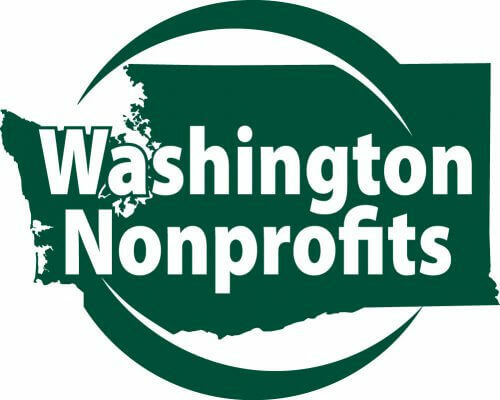 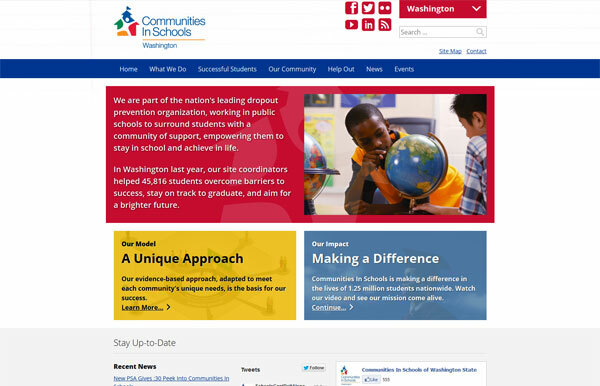 Communities in Schools of Washington needed thirteen sites in one to support a statewide network of affiliates helping kids stay in school.